I’m all about the print. Photography for me is not complete until I have a photograph in my hands. I love big prints, and fortunately, I have an office and gallery that allows me to hang some prints. However, just like you, I only have so much wall space at home, and I have more images than I can hang. I walked into Roberts Photo a while back and came across a display with digital frames. I was blown away by how beautiful these frames looked and how good the images looked. I got to thinking about how if this frame looked good in my gallery, it would be a perfect solution for something that has plagued many of us for a long time. Finally, a solution to the problem of how to share your best images in a limited amount of space. The solution they were offering, and what has become my favorite, is the Memento Electronic 35-inch Smart Frame (B&H, Roberts Photo and Amazon). This is an all-in-one frame and matte, with what is essentially a high-res monitor serving as the display. It’s all controlled by your computer or mobile device. 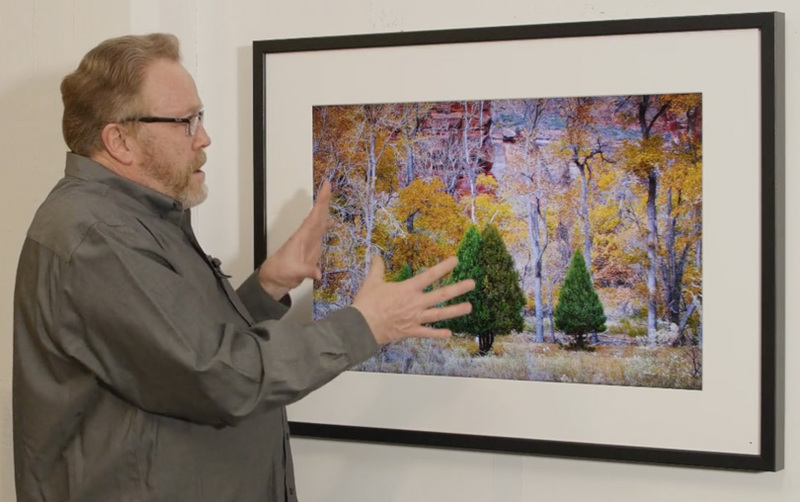 The funny thing is, a week later, I attended the PhotoPlus show and discovered another digital frame: the Meural Digital Canvas. This frame was made by Meural, a company that took a different but unique and pretty damn cool approach. 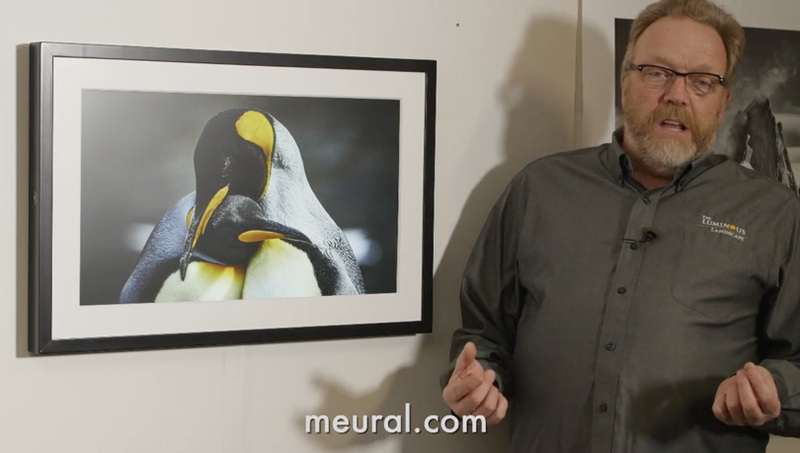 Chris and I were doing videos on the trade show and looking for something different to show our readers, and we stumbled on the Meural booth. 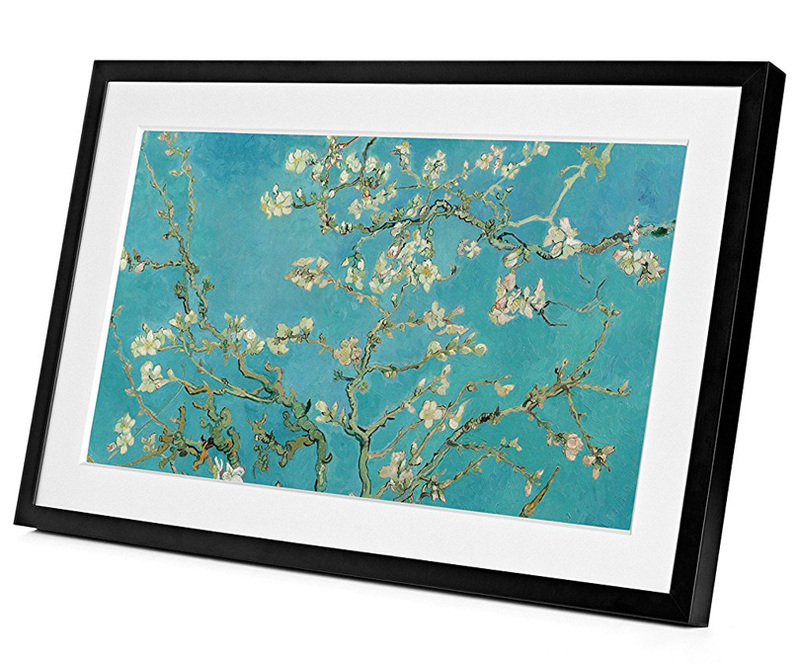 The Meural is a smaller frame, with a 27-inch, 1080 full HD picture (B&H and Amazon). 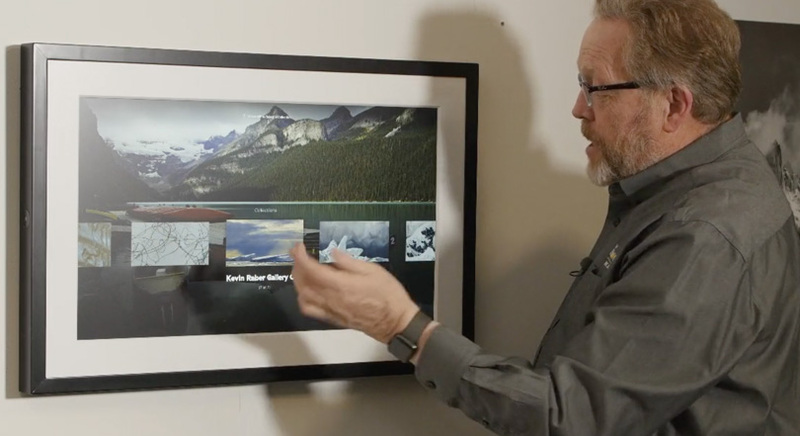 The frame is also controlled by either your computer or a mobile device. The cool thing about the Meural frame is that you can operate it with hand gestures. Watch the video to see how this works. You can also purchase this frame and then download artwork to it. This video will give you a pretty good idea of what these frames can do and how they work. I like both of them, but I like the size and look of the Memento best. Both of these frames are well packaged and are easily carried by one person. 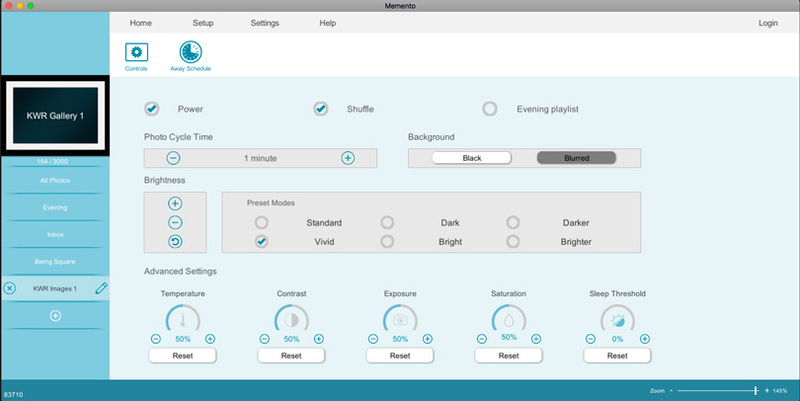 The Memento frame is well designed. There is a bracket that has to be mounted on the wall. This was a pretty simple process, but you will need a drill, hammer, screwdriver, level, and measuring tape. You can purchase a flat power tape that runs up the wall and eliminates a dangling power cord. This was really easy to install. 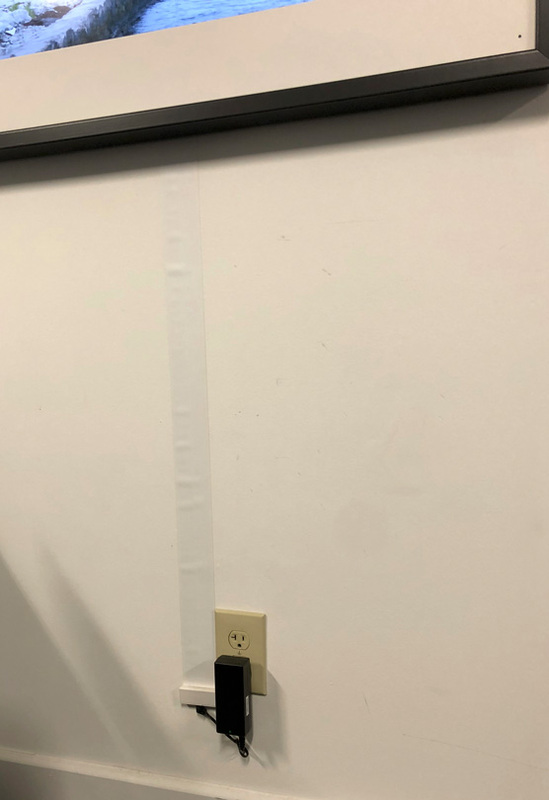 The power tape can be painted the same color as the wall and thus becomes practically invisible. The end of this over tape is plugged into the frame, and then the frame is hung on the bracket. It sits flush against the wall and is powered on once it is plugged in. The next step is connecting it to the computer and your network. This was bit tricky, but if you follow the online prompts, you can make the connection. The tough part is that you need to connect the frame to the network, and once it’s identified, you link it to your regular wireless network. You have options to change all sorts of settings, as the images below show. 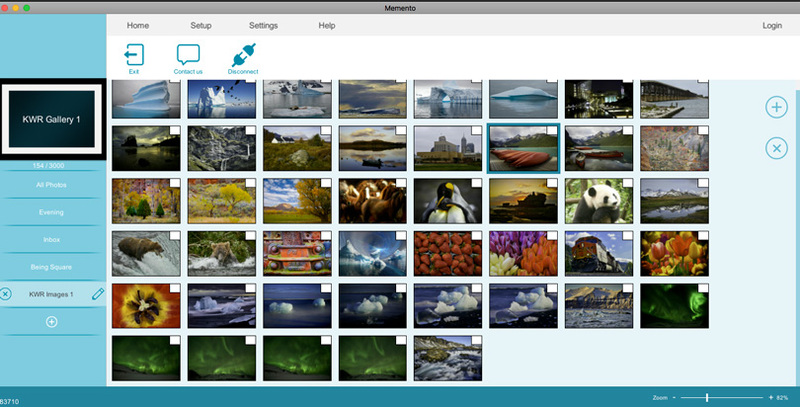 The results are a fun and beautiful solution for displaying my images. I have numerous image libraries and can elect to change them at any time. I can change the rate at which they change and set things up so I can change galleries for the night, weekends, and so forth. This frame comes in two sizes: 35 inches and 25 inches. Below are the specs for the 35-inch frame. There are color choices for the frame in black, dark brown, walnut, silver, and Auburn. This frame is quite different from the Memento. First, it is a smaller frame, and it also a 16:9 ratio versus the Memento’s 3:2. Also, though you can control this frame from a computer and even a mobile device, it also has gesture control. This is a great feature for using this frame as a gallery of images. For example, a viewer can go up to the frame and swipe their hand to see the title of the image as well as other pertinent information. Different swipes of your hand can select settings, various galleries, and more. Installing this frame was a bit easier than the Memento, but then again, it was small and thus had a smaller bracket. Unfortunately, there wasn’t a flat wire power option like with the Memento. There is a black wire that runs to the power outlet. We took some leftover flat wire from the Memento and used it as a tape to cover the power cord. This is also not a 4k resolution frame like the Memento. Don’t get me wrong—the image is very nice. Side by side, however, you can see the difference. Nevertheless, it is a cool frame system and works well. Mueral Screen Images From The iPhone. 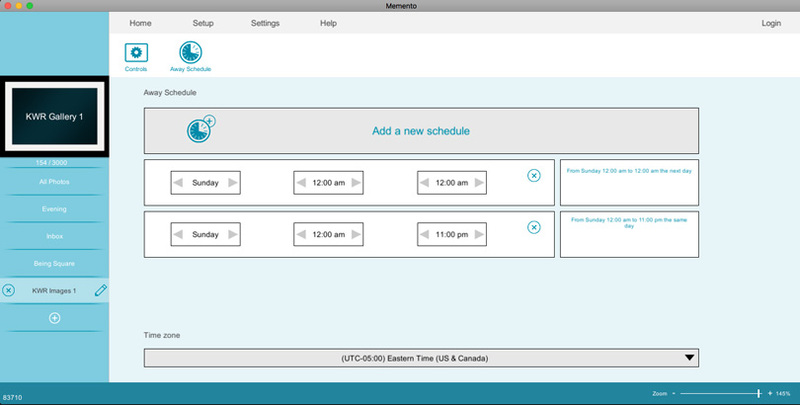 There is a web and computer app too. 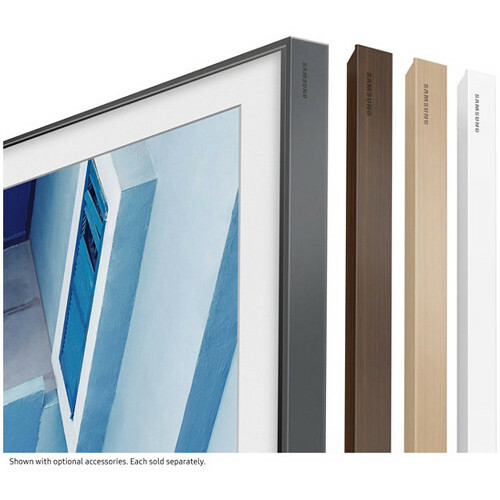 Prior to publishing this article, Samsung announced a new TV called The Frame. It looks really cool and promising. You can find out more about it and order it from B&H HERE. This one has me really interested as it would be great in my home office. I may be tempted to purchase this one. Will keep you posted. This is an expensive frame but doubles as a TV too. The 55 inch version is around $1997.99 USD. The whole concept of a digital frame is brilliant, and with the resolution of displays, these days these two different type of frames both answer a new need. 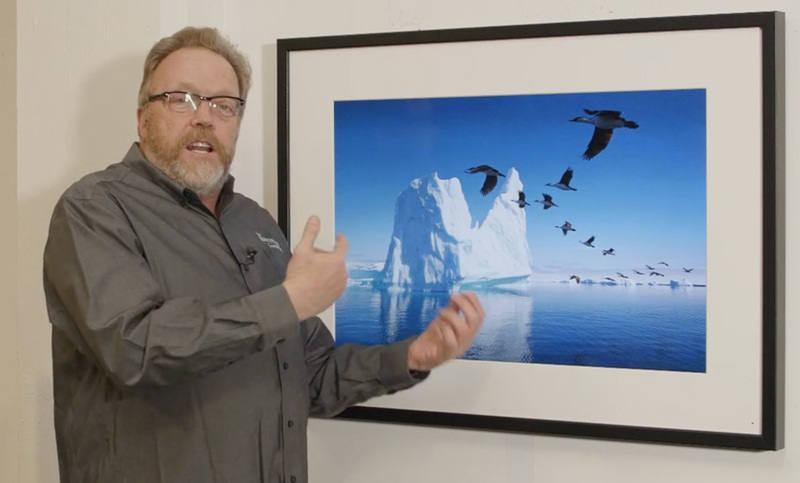 That need is, “How do I share all of my images without spending a fortune and without hundreds of feet of wall space?” Don’t get me wrong—there is no replacement for a well-printed print. But you can only show so many photographs at one time and framing a couple of these prints would cost more than either of these digital frames. I have both of these frames in the offices and gallery. I also have a Memento at home. People love seeing these frames and waiting for the next image to appear. The displayed image looks excellent, and many people don’t notice they are digital until the picture changes. The possibilities for these frames are limitless. I am thinking of adding a few more around my house. I am also going to offer the frame for sale with one hundred of my images. And every year, my clients can purchase a new gallery of images that can be loaded into the frame. I can also use these for commercial purposes—for real estate, restaurants, and so much more. I see digital frames becoming more popular as they evolve. For many of us, they solve a big problem. Although the Meural frame is nice, it just not big enough for my purposes. 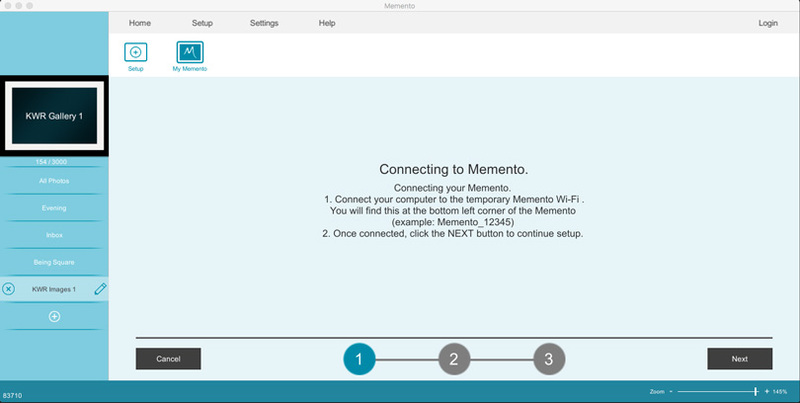 The Memento fits the bill perfectly. It’s available in several different colors and has a lot of settings to maximize the quality of the images. Think about what you can do with a frame that holds three thousand of your pictures. You can order the Memento frame from B&H Photo, Roberts Photo, and Amazon You can order the Meural frame from B&H Photo and Amazon.